Time Warner Inc. (NYSE:TWX) has announced that its Board of Directors has elected Jeffrey L. Bewkes as Chief Executive Officer of Time Warner Inc., effective January 1, 2008. “Jeff is the right person to be the next CEO of Time Warner, and I couldn’t be more delighted that he will lead this Company into the future,” Mr. Parsons said. needs to show the world that Time Warner isn’t merely some bloated, tired symbol of the out-of-breath media industry. He must demonstrate to Wall Street that he is on shareholders’ side. Friedman further asserts that Parsons took control of Time Warner following a period of chaos. The AOL-Time Warner combo proved to be an utter disaster; the two factions hated each other and there was no spirit of cooperation. The stock flirted with single digits. By the time Parsons took over, Time Warner had become a corporate punch line, if not a punching bag for the media. A born politician, Parsons stepped in and smoothed the troubled waters by adding the informal title of “chief facilitator.” He sold off some noncore assets, tried to prop up morale at AOL and basked in whatever triumphs the company had, such as the booming properties in its vast film division, including such blockbusters as the Lord of the Rings, Matrix and Harry Potter series. The shift, hardly indicated by that smooth press announcement, signals intent to change bigtime. Mr. Bewkes’s management style is expected to signal a radical shift in Time Warner’s corporate culture. Where Mr. Parsons won over employees with a grandfatherly manner, Mr. Bewkes’s style is more no-nonsense. Mr. Bewkes, who started his Time Warner career at HBO more than 20 years ago, is widely expected to be tougher on the company’s performance, or lack thereof. James Murdoch is now believed to have been identified as the heir to his father’s media empire, following his appointment as head of News Corp’s European and Asian businesses. What sense can be made of the appointment? The most powerful man in Britain. The headline from the Daily Telegraph hints at the political as well as the commercial implication of the ascent of James Murdoch to his new post. My own headline is a tribute to the talents of Caroline Aherne in her role as Mrs Merton, a chat-show host with innocently barbed questions to her celebrity guests. In her discussion with Debbie MacGee, the young wife of the TV magician Paul Daniels, Aherne produced one of the funniest of one-liners. It would take a Mrs Merton to ask the same sort of question of James Murdoch ‘Tell me, Mr Murdoch, when did your father discover his perfect successor?’ Or maybe: ‘What did he see in his youngest son, now that his older children have rejected any involvement in the family business?’ [OK. I’ve just proved how hard it is to write a good gag, or a good headline]. The Telegraph provided one of the best resumes of the spectacular rise of James Murdoch, and notes the political implications of his coronation. James Murdoch is stepping down as chief executive of the satellite broadcaster BSkyB to head News Corp’s European and Asian businesses. He will take control of News International, publisher of The Times, Sunday Times, Sun and News of the World newspapers, as well as Sky Italia and the Star television business in Asia. He will not sever his ties with BSkyB, however. He replaces his father as non-executive chairman. 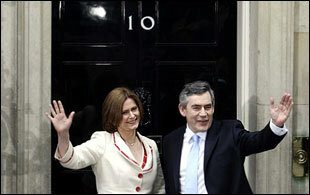 That could turn out to be very bad news for Gordon Brown. James Murdoch is an instinctive free-marketeer Tory. Friends say he “talks as if he thinks he is a latter-day Adam Smith”. Thanks to friendships with Al Gore and Bill Clinton, he has developed deep green instincts, which have made him a close confidant of the Tory leader, David Cameron. The younger James showed all the dedication to following his father’s footsteps as did the younger George W Bush. He dropped out of a Harvard visual entertainment course, to found Rawkus, a hip-hop record label. But like Bush, he eventually returned to the fold. James is the youngest of three Murdoch offspring to a previous marriage. His sister Elisabeth seems the sparkiest of the three, but both she and brother Lachlan seem to have sought more independence, and have broken with promising roles within Murdoch’s media empire. But there may be other candidates to succeed father Rupert, who also has potential heirs from a more recent marriage. Young James seems to have had a somewhat rumbustious time in his formative years (hardly surprising). His roles in the family firm have been conducted with inevitable publicity. Progress has been swift (hardly surprising). Results have been not totally convincing, but public skepticism has been somewhat weakened through his sure touch in leading the BSkyB business. The Telegraph provides a sketch of a near-stereotype of an over-achiever, shaped through early family influences. He is fiercely competitive – the result of all those Murdoch family meals when, by his own admission, his father often pits sibling against sibling in a competition for his affection. British investment institutions dislike chief executives becoming chairmen of their respective companies. 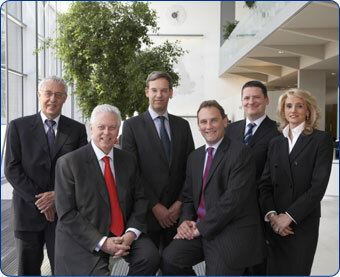 So Sky’s British shareholders are bound to complain about James Murdoch’s elevation to the chairmanship. However, Sky non-executives have sounded out the group’s leading US shareholders – including Templeton, Capital and Janus – and believe they are supportive of the management re-organization. Maybe his father would have given such a reply he had been a guest of Mrs. Merton, and had been asked one of those innocent questions on his son’s spectacular rise to business success. You are currently browsing the archives for the Leadership transition category.